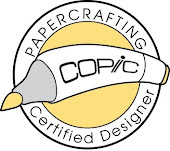 Scrap Delicious Designs: May Classes at Cord! I have been busy designing classes for May and I shall post a few samples here! My April classes are filling up quickly and 2 classes are sold out already! So if you are interested in call soon to register! I am working on card kits for May...the themes will be Graduation and Thank you! and A mother's day layout or just an elegant layout! (using Bo Bunny Jazmyne collection). Yummy, Yummy stuff! We are also having a National Scrapbook Day Crop - for $12!! So sign up soon! Seats are filling up already! We have some great make and takes as well as sales exclusive for our croppers!